The Krewe of Endymion Parade, started at City Park and Orleans Avenues in New Orleans, and from there took visitors on a journey that figuratively at least reached far beyond the confines of the Crescent City. 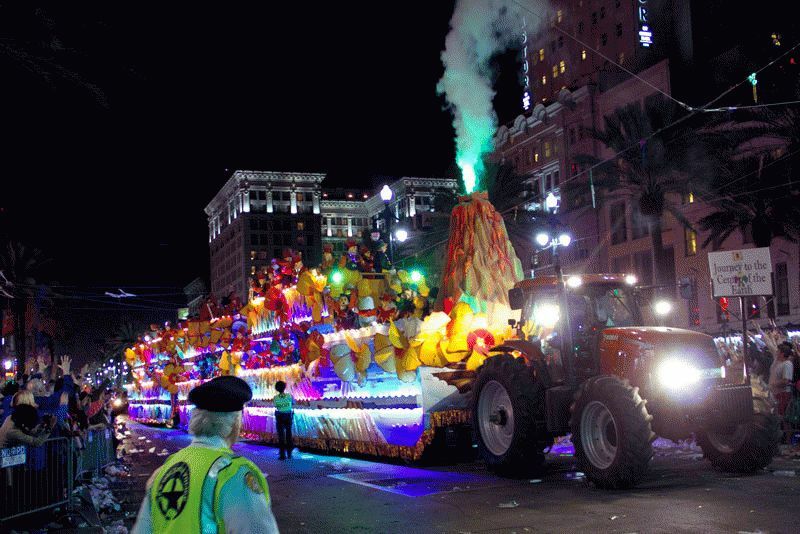 Built around the theme “Fantastic Voyages,” the largest and most legendary of New Orleans’ Mardi Gras parades, featured floats depicting 20,000 Leagues Under the Sea, Gulliver’s Travels and other tales of transcendent journeys. Accenting it all, along with 2,650 masked revelers tossing beads to the crowds are Geyser RGB Foggers from CHAUVET DJ and Video Panels from CHAUVET Professional. The Endymion project starts with a series of 45-foot floats which linked together to form a parade train that roll through New Orleans. Each float was decorated to reflect the "fantastic voyage" theme of this year’s parade. “Our goal with the lighting design is to accentuate what the design artist has created on each float, highlighting the various props and adding even more excitement to them without drawing attention away from them.” said Ziegler. “This can create a challenge, given the static nature of the float displays.